Whatsit playing cards allow simultaneous practice of several language skills, such as: reading, speaking, listening and vocabulary. Whatsit is a wide selection of funny and interesting riddles that can be used in a broad range of ways. You can find a few game ideas inside the box. 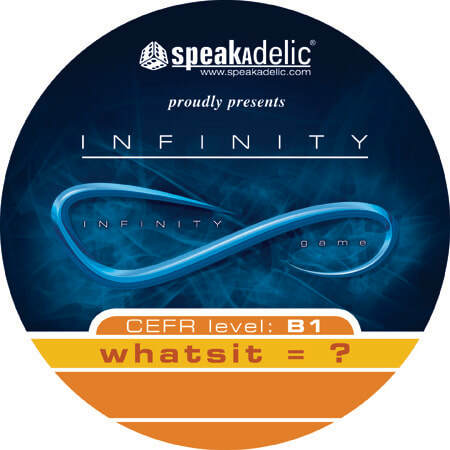 In order to reinforce the language content after using Whatsit cards in a few mini games, the cards should be used as part of our Infinity game. *Shipping is not included in the price. Worldwide shipping prices: between 4 and 10 GBP depending on the destination.